Coconut oil is a superfood. There are so many amazingly healthy properties. Even though it is full of saturated fat and has gotten a bad rap in the past, it is a HEALTH FOOD. Nothing bad about it. The lauric acid in the coconut oil helps support the immune system, and the saturated fat does NOT raise cholesterol levels. Coconut oil may also be able to help you lose weight as well! NutriGold is an amazing company. 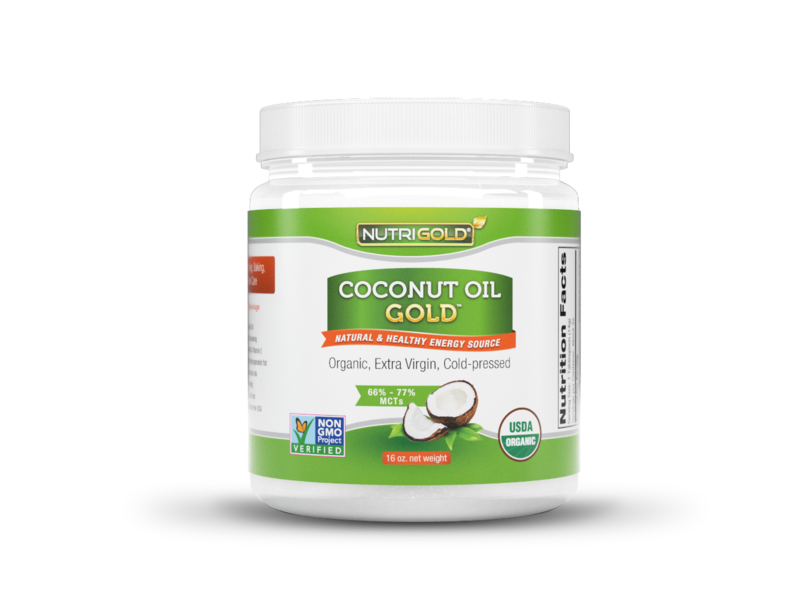 I LOVE their supplements and actually take their NutriGold Women's formula since it is derived from whole foods and does not contain any synthetic vitamins. They follow GMP and are manufactured in the US. They are based out of Orem, UT and their customer services is fabulous. The coconut oil is made from freshly harvested coconuts to preserve the natural levels of lauric acid and vitamin E. It is cold pressed to extract the oil. The process is clean, and does NOT involve the use of sulfites or other processing aids, so their coconut oil is pure, wholesome and nutritious. What do I use coconut oil for? Oil pulling. In the mornings I will oil pull with a half tablespoon of coconut oil and two drops of a Thieves-type essential oil blend. Cook. I do a LOT of cooking with this. I use it for eggs, I use it to sautee' vegetables, for recipes that call for cooking oil. I use it for making lotions and creams. It is a great personal lubricant. The AYL StarLight 330 LED Lantern is a bright, but compact camping lantern that has three different settings: regular, bright and flashing strobe. I don't see any reason to use the flashing strobe unless you are in an extreme emergency and need to signal. It flashes white LED light, so not the flashing red of emergency lights. Let's hope you never have to use that. The regular light is not too bright, but still allows the area around you to be visible. And the bright one can light up half a house! LEDs last a LOT longer than incandescent bulbs, some say over 100,000 hours of use. The company claims that you can use this lantern continuously for up to six days, making it safer than any type of emergency candle, and much longer lasting! This product is going to be used a lot this summer, I cannot wait! 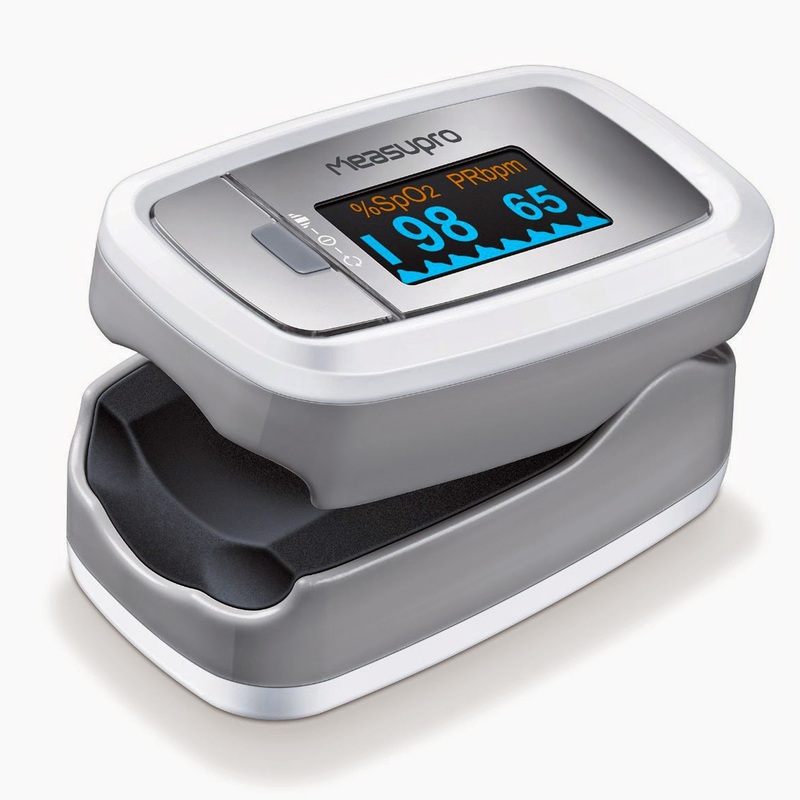 It is made out of sturdy rubber and ABS plastic, seems very durable and it is water resistant. You can remove the top for a more focused light beam, or you can use it upside down for a hanging area light. So, if you plan on camping a lot with your family and friends, hiking, boating, or just want something in case of emergencies, this would be a good bet! So many people are realizing how bad their beauty regimen is, including lotions, perfumes, makeup, haircare products, etc. 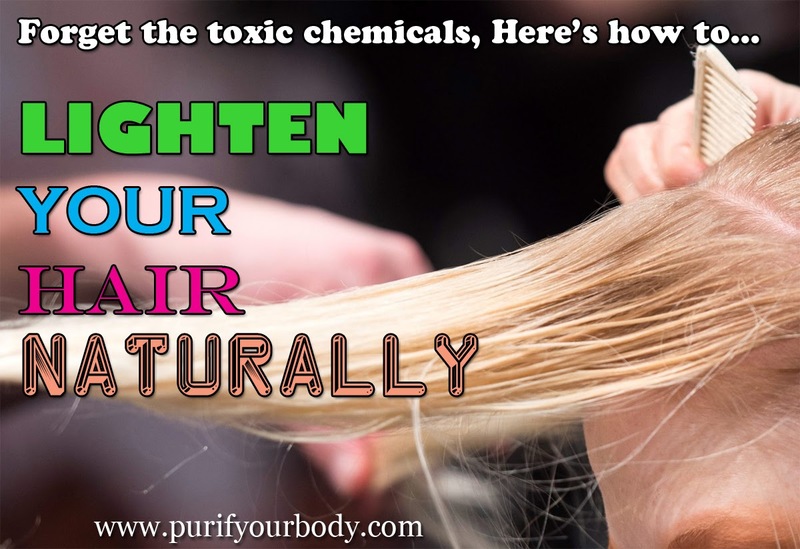 One of the most toxic things we can do to our bodies is coloring our hair. At least for those looking at the darker shades, there are some good henna products out there. 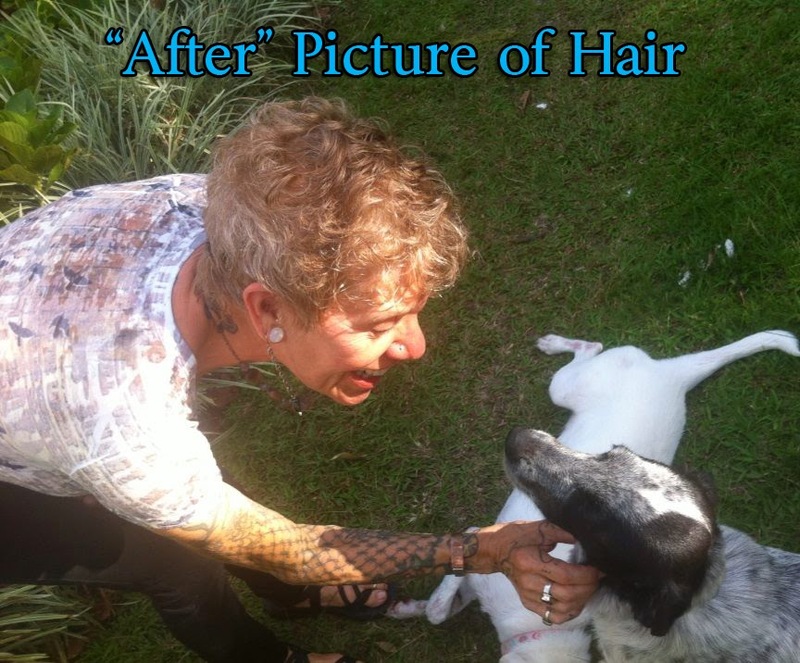 But it is almost impossible to find a product that will lighten hair that is non toxic. 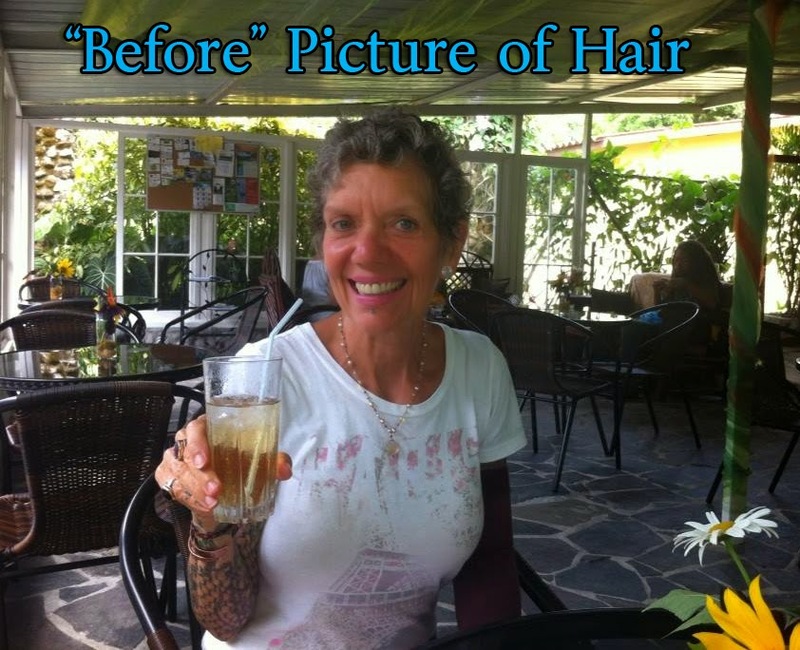 But my beautiful friend, Kathleen, who lived in the same town I did in El Valle, Panama, told me her secret! She is one of the people I miss the most, now that I moved back to the states, but she is planning a trip out here in the Spring, so I am excited! Anyway, I want to show you her before and after pictures, and then I will tell you the recipe she uses. The difference between the before and after is only one week of using this recipe. Add everything together and put in a spray bottle and spritz on your hair every day, especially as you go out in the sun. Lemon EO is photosensitive so take care to remove any from your skin before going into the sun. Drying your hair in the sun will speed the lightening process. You don't need to spray everyday once you have lightened your hair enough. For your hair, spray on the roots and condition the ends of your hair with coconut/rosemary EO - 3% dilution should be perfect! "I used it everyday for 7 days. I did not intentionally go out in the sun, I just did my morning chores in and out of the house. I always let the formula dry on my hair. Of course, sun speeds the lightening process but it is the skin that suffers from sunburn if the lemon is on the skin. The ears forehead and back of neck are especially susceptible. Also, I think if the user's hair is mid length or longer combing gently with a wide tooth comb to ensure even application is a good idea. Lemon & peroxide can be drying so I use organic Argan oil with rosemary EO at a 2% dilution for leave-in conditioning." 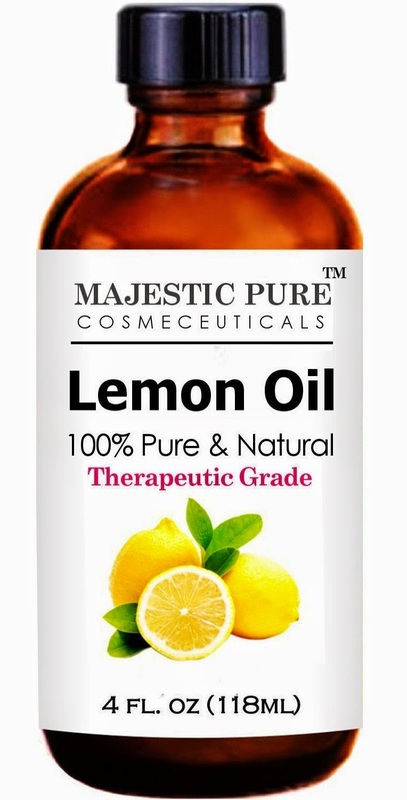 And a lemon essential oil that I recommend for this recipe and for other uses including cleaning, diffusing and using in beauty care products is this one from Majestic Pure. It is 100% Natural and can be used for many purposes, including lightening your hair naturally! It has a powerful and energizing scent, that uplifts and revitalizes. It can be used as an antiseptic and disinfectant for cleaning. I use it in a spray bottle with distilled white vinegar and water. 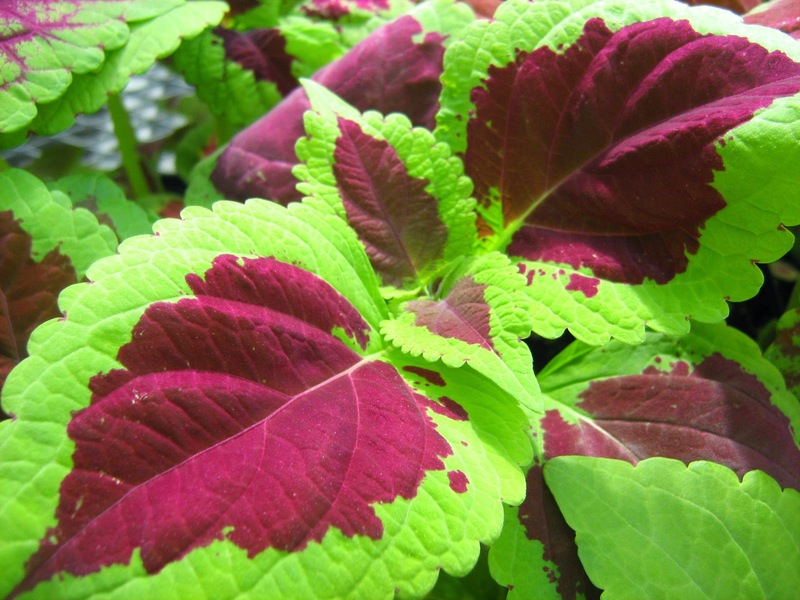 It can be used as an air freshener -- it surely smells delightful when you diffuse it in your home. 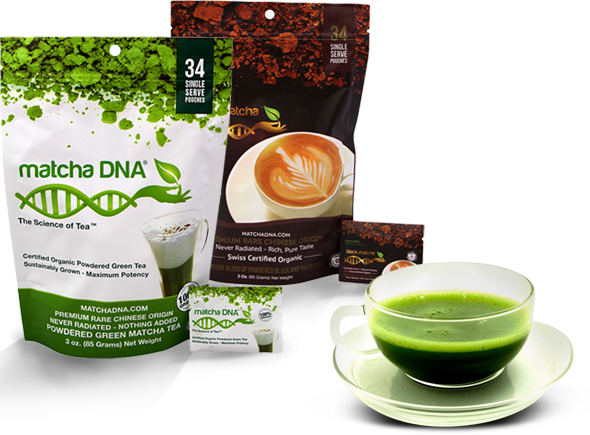 Matcha DNA™ tea is organically grown on sustainable farms. It can been made as delicious tea, Lattes, Smothies, Baking or used in food like green tea ice cream and cooking. I personally think it tastes amazing, and doesn't need any sweetener with it at all. The tea I got came in single serving size packets which makes it extremely easy to fix a healthy cup of tea. There is only a minute amount of caffeine in it, but it still gives you the pep you may be looking for in the morning. And no withdrawal or fogginess afterward. One of the main differences with Matcha green teas is that you use the whole plant leaf instead of seeping the tea leaves and then throwing the tea bag or loose leaf tea away. 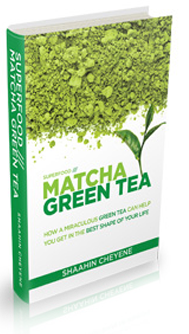 To get a free book on the health benefits of Matcha Green Tea, visit their website and scroll to the bottom of the page where you can sign up for their newsletter. They will send you the free book. 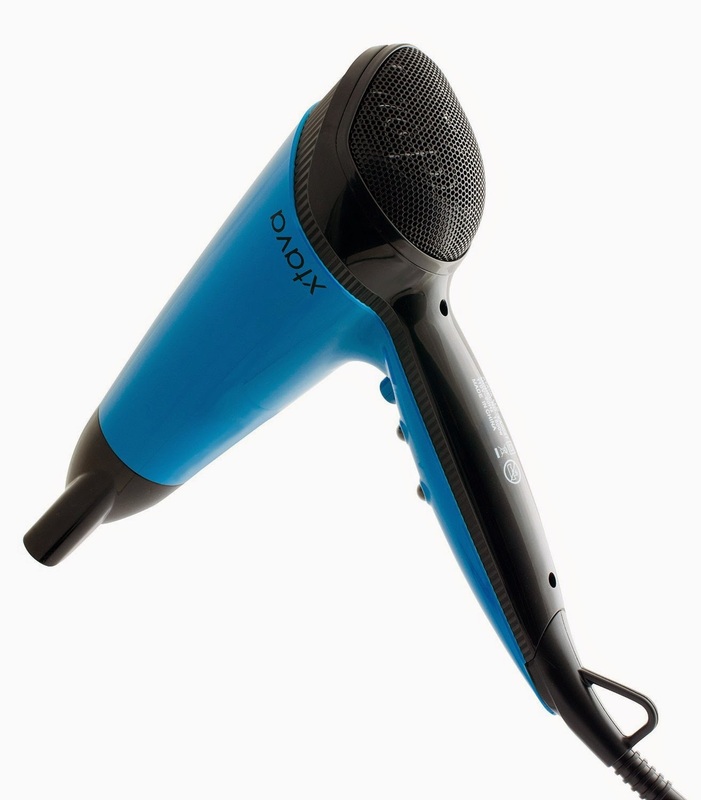 This 1500 watt blow dryer from Rimini by Xtava was a godsend for me. I just got rid of the blow dryer that served me well for about 15 years -- donated it to a local orphanage as I was getting rid of things in Panama before my move back to the states. And I received this one just as I arrived here in Colorado -- where every time I showered I needed my hair to dry fast, because I was COLD! And my hair had a lot of static. It is much drier here in Colorado with this 30-40% humidity, than the 90% humidity that I lived in for the past 18 months! It is easy to handle, easy to hold in your hand while you are drying your hair, very comfortable and doesn't tire out your arms quickly. 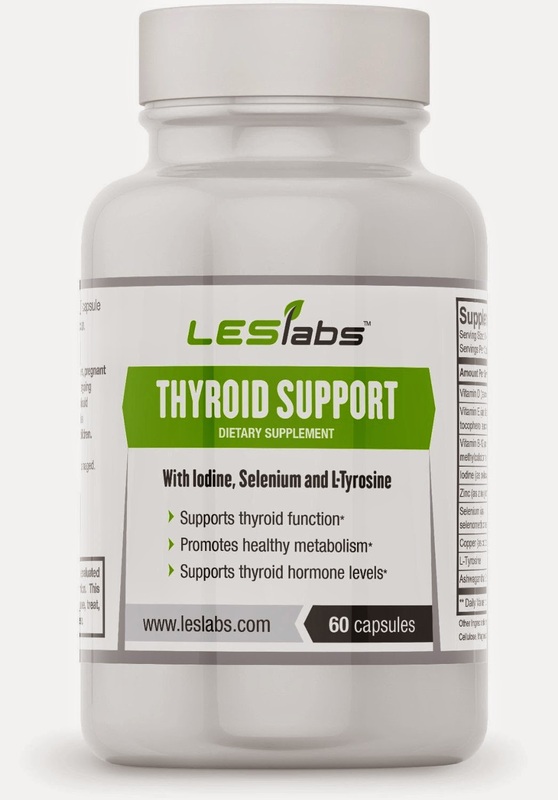 Thyroid Support by LES Labs is a supplement to help promote thyroid health. The bottle contains a 2-month supply and should be used for hypothyroidism. Right off the bat I will tell you that it doesn't contain any ingredients I am suspicious of. And it does contain the ACTIVE form of B-12, methylcobalamin, instead of the synthetic, cyanocobalamin. Yay! (If you have any supplements that have cyanocobalamin as the form of B-12, you should throw those away). Iodine - Iodine is an essential mineral and required for thyroid function. Iodine is needed for healthy metabolism. Selenium - Selenium may play an important role in the functioning of the thyroid gland and supports thyroid hormone synthesis. L-Tyrosine - L-Tyrosine is an amino acid acid that supports the production of thyroid hormones. Ashwagandha - Ashwagandha is an adaptogen that helps the body adapt to stress and helps support physiological processes within the body. So many millions of people - mostly women - are misdiagnosed or under diagnosed when in fact they really DO have thyroid issues. 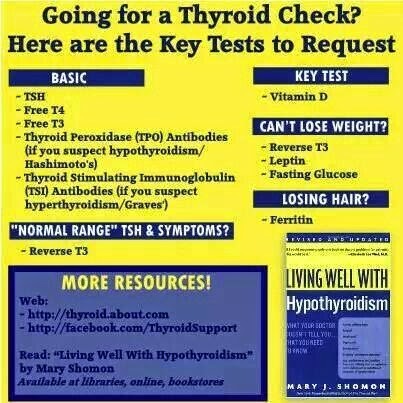 Here is a graphic that shows you what tests you need MINIMUM to get a full complete profile of your thyroid health. 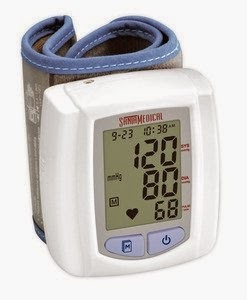 The problem is that most doctors test only by the TSH. I was "under diagnosed" for over 10 years before a doctor did all of the tests for me -- mainly the important one was the reverse T3. T4 is the inactive thyroid hormone. And when you don't produce enough, your body increases its TSH (from the pituitary gland) to signal the thyroid to produce more T4. Then, your body converts T4 into T3, which is the active form of thyroid hormone, and the one your body uses for its thyroid functions. However, many things can happen. What if you have enough T4, but instead of converting to free T3 (a sub category of T3 and the actual hormone used), it converts it to REVERSE T3? Your TSH would still be in the normal range -- after all, you are making enough T4. This becomes a conversion issue. And it is overlooked by so many doctors, yet still produces the same results -- hypothyroidism. Buy this thyroid supplement HERE. 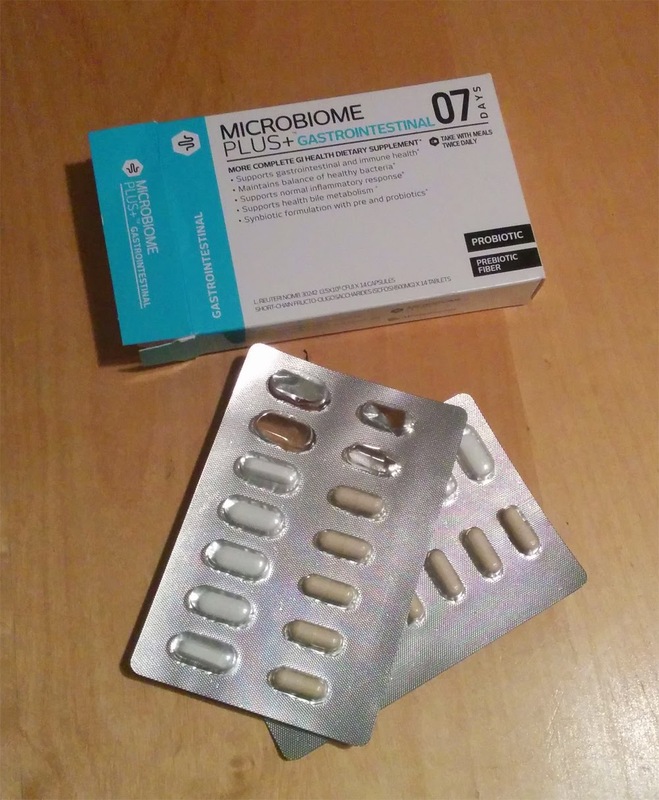 I recently received an interesting supplement for my gut health. 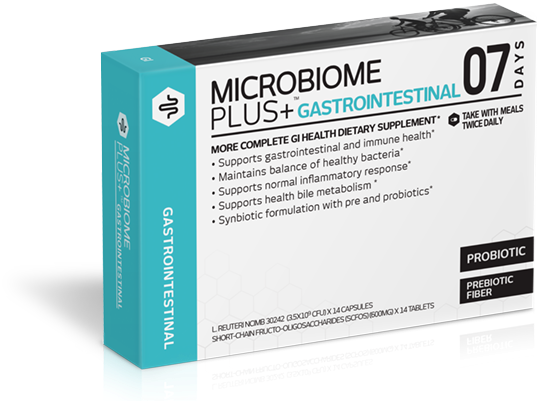 Normally you think "probiotics" for your gut health, but this supplement contains "prebiotics" as well. The prebiotics are in the form of short-chain fructo oligosaccharides (FOS). What is that, you ask? They are starches that the human body cannot fully digest. When a person consumes FOS, the undigested portions provide nourishment for good bacteria in the digestive tract. So taking a prebiotic along with your probiotic, you are able to feed and nourish your good bacteria, allowing it to thrive and do its job. 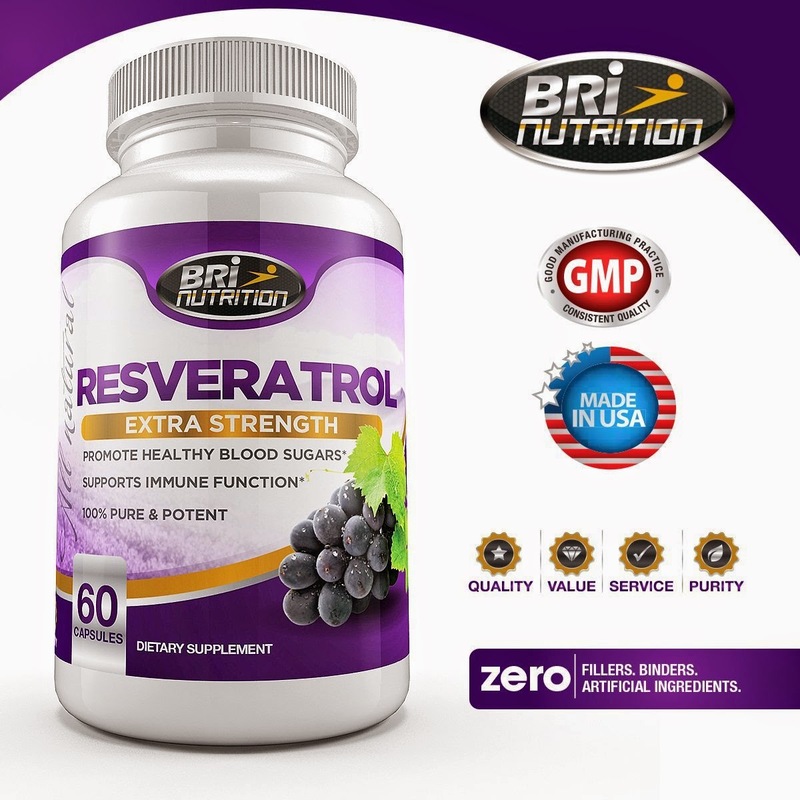 The probiotic contained in this supplement is lactobacillus reuteri, 3.5 billion CFU. The packaging is unique -- maybe a bit overkill, but super useful in helping you remember when you took your last capsules. I don't know if there is a reason why each pill is separate. If there is, then that would be nice to know. Otherwise, putting them in two separate pill bottles might be easier and less mess to sort through. Here is the packaging for 1 week supply - you get 4 of these! Last night for the first time in about 18 months, I got to take a bath. While I lived in Panama, I did not see a single bath tub. They mostly have showers, and some of the typical Panamanian homes even had only outdoor showers. And rarely hot water. Since moving back to the states last week, we have settled in to our rental home, and I finally had the time to take a bath. So, I made my bath, which included medium hot water (I don't like it too hot), Miracle II Moisturizing Soap for bubbles (non-toxic), epsom salts for my body aches and for magnesium absorption, and sodium bentonite clay powder to help with a detox. Then, I washed my makeup off my face and made a bentonite clay mask. In the past, when I lived in the Panama tropics, with 95% humidity every day, I used French green clay, as that helps oily skin, but bentonite clay I think is better (personally) for the dry skin here in Colorado. It is super simple to do. Just add water to the clay and mix up, then put in your face! Some people say that sodium bentonite has better detoxifying properties than calcium bentonite. I don't know the correct answer but I recommend both types.. if all you can get is calcium bentonite, then use that. Some people use one for external and one type for internal use. I stick with other clays for internal use. This clay shrinks pores, tightens and tones your skin, and removes impurities. You can tell a difference after a single use. I did add 1/4 cup of it into my bath because it also detoxes your body. Some people use it as a foot soak. There was an experiment that someone did before, using clay water to soak their feet in, and then using that water afterward to water one of two plants. Then, they used regular clay water (that had not been used as a foot soak) to water the other of the two plants. The one with the used clay water died, while the other plant thrived. All other controls were the same (same plant, same amount of the water, etc). Because I am a huge proponent of detoxing, and selling my detox foot pads, I really recommend multiple ways to detox. My foot pads are not the only way, but a great product to use with other complementary detox methods. The way that the clay works is that it is negatively charged (electromagnetic) and if you remember from high school chemistry class, when an ion is positively charged it searches for an electron to neutralize it (very basic description). Free radicals and other toxic matter are positively charged. So the clay, in this case, attracts those toxins and free radicals and binds them. This is how it works on your skin, in the bath and even when you take it internally (I don't take this specific product internally). I have also used bentonite clay to pull the poisons from insect bites and stings. When I had issues with bullet ants in Panama, my feet would get dozens of bites when I walked over their nests. You would think that it would only have happened once and that I would learn my lesson but it happened a total of 3 times! The clay saved my sanity in those cases, and I made a poultice with heated cooking oil, bentonite clay and lavender essential oil, put it on the bites and then wrapped it in a bandage. Every household should have bentonite clay in it! I LOVE the peace that being prepared brings me. I remember back in 2010 when my husband and I were packing to go to Panama for a trip, I stuck an LED light in my purse and he shook his head, laughing at me. We flew into Panama City then took a cab from the International airport (Tocumen) to the Albrook airport, clear across the city, to catch a regional flight to Chiriqui province. Once we arrived, the lady at the resort we were staying at, came to pick us up in her battered old truck. Sure enough, the truck broke down in the dark, on a road that had no street lights, and not many people driving by. What came in handy? My LED flashlight! HA! We were able to use the light from the flashlight shining in the engine compartment and somehow were able to fix the problem so we could arrive to our destination. I always keep a first aid kit, and other preparedness items in my car, and with me when traveling. NutraSilver is another thing I bring with me everywhere because it helps with illness from food poisoning to Dengue Fever, to influenza and even purifying water. 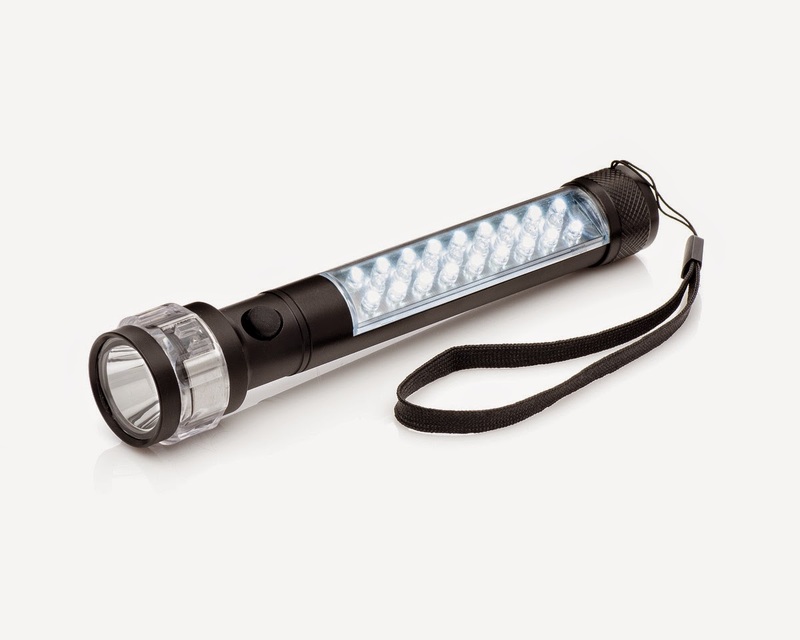 This flashlight is small in size, can easily fit in your car door or glove compartment. It is extremely bright and offers a red flashing strobe, a side light (super bright) and a front light. It is powered by 3 AAA batteries. I love that it has a magnetic base. When I first got it I stuck it to my refrigerator! Since I am adding this to my emergency car kit, I am hoping that the bulbs really do last for more than 100,000 hours as it states, and I will only need to replace batteries as needed. I received some insulated lunch boxes to review. 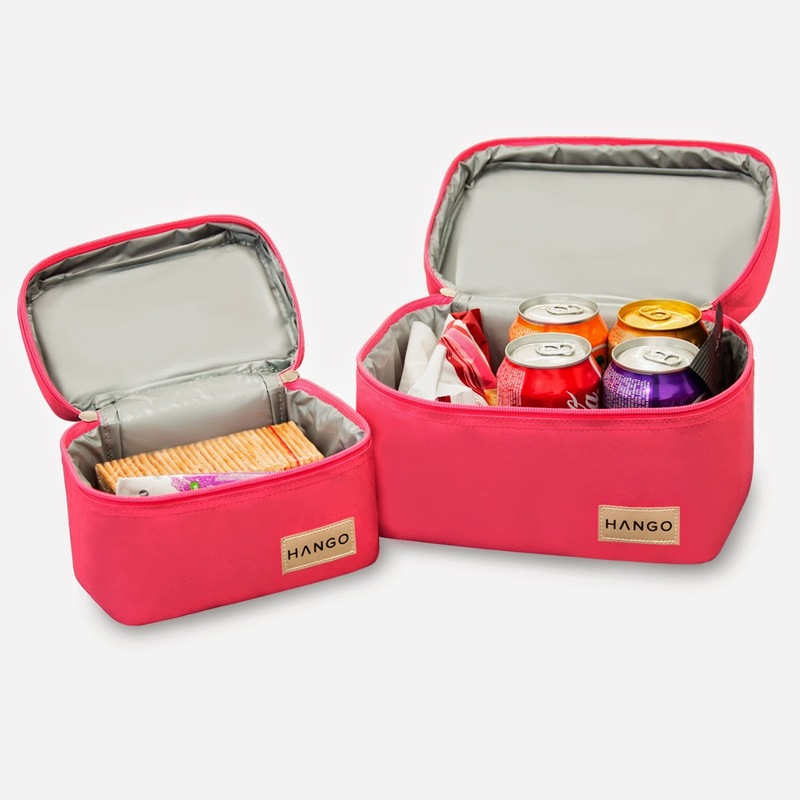 The Hango lunch bags are adorable to look at and the perfect size for lunch plus a snack, to bring to school or work. The cool thing about them is that they fit a multitude of different containers. I don't use plastic, and my glass Pyrex containers had a hard time fitting in other lunch boxes. The larger one can fit a 6-pack of beer or soda (don't bring beer to work!) although I don't drink either. That is just to let you envision the size. It is 6" x 10" and then it is about 6" high. There is no need to put your food in the fridge at work (so it doesn't get stolen or eaten by that weird guy in accounting). You can keep it in your office or at your desk, the lunch bag has the best thermal insulation system to keep the food cool longer. The small bag is great for snacks. It is 5" x 7 1.2" and then it is 5" high. It can still fit a smaller meal and even some of my smaller glass containers. I love the colors of it too!